In a recent interview with New York Magazine New York City Mayor Bill de Blasio opened up about his feelings for Communist policy. 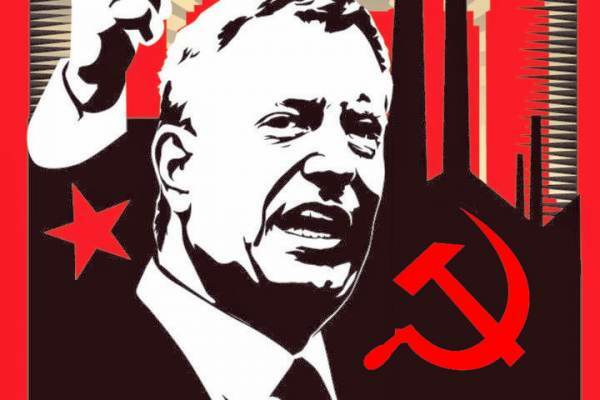 According to America Rising PAC Mayor de Blasio channeled his inner Vladimir Lenin and Fidel Castro in his comments about private property. Mayor de Blasio discussed his contempt for private property rights. Question: In 2013, you ran on reducing income inequality. Where has it been hardest to make progress? Wages, housing, schools? Mayor De Blasio: What’s been hardest is the way our legal system is structured to favor private property. I think people all over this city, of every background, would like to have the city government be able to determine which building goes where, how high it will be, who gets to live in it, what the rent will be. I think there’s a socialistic impulse, which I hear every day, in every kind of community, that they would like things to be planned in accordance to their needs. And I would, too. Unfortunately, what stands in the way of that is hundreds of years of history that have elevated property rights and wealth to the point that that’s the reality that calls the tune on a lot of development. No matter how much pain, suffering, murder and genocide the Communist revolutionaries have spread across the globe, Democrats still think it’s a swell idea.